If you are a diabetic or a low-carber, look away, look away now! These cookies aren’t even the least bit low carb or sugar free, and I promise that I am not trying to lead any of you into temptation. I made them with my kids during our huge snow storm last week and the whole family deemed them blog-worthy, so I am bound by family law to post about them. This blog take so much time and energy away from my kids, they have to have at least a little say in what goes into it! This recipe came about for a variety of reasons, the first being the aforementioned snow storm. You may have heard about how the northeast got slammed last week with a true Nor’easter. 18 inches of snow in our neck of the woods, so between bouts of shovelling, I kept kid entertained by baking cookies, among other things. I had it in mind to come up with a new flavour combination for chocolate chip cookies because of a challenge by fellow blogger Charlie at Sweet Salty Spicy. I’m always up for a fun challenge, and I chose not to do it low carb because let’s be honest…who is going to vote for a low carb cookie over a full-sugar, full-carb one? 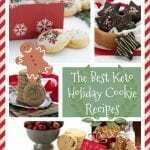 Even I wouldn’t do it and I make some pretty good low carb cookies! And then another challenge arose that convinced me to bake these cookies. Fellow blogger Steph from Steph’s Bite by Bite is running a marathon and needs to raise a little money…just a measly few thousand dollars! She rather smartly turned to the blogging community and proposed an online bake sale, where we contribute an item that readers can bid on. We will then make our treats and send to the highest bidder, and all proceeds will go to the Leukemia and Lymphoma Society. I am all for supporting fellow runners and fellow bloggers, and I thought that my cookies would be a good addition to her fundraising efforts so I signed up. The bake sale will be taking place on January 31st, so if you are interested in my treats or any others, be sure to stop by! I will make sure to post about it closer to the time and get it on everyone’s radar. And if you want to contribute a baked good yourself, head on over to Steph’s blog and sign up. The Results: I already told you these were deemed blogworthy, and boy, they certainly were. I gave into temptation and had a bite of a warm cookie right out of the oven, all melty warm goodness. 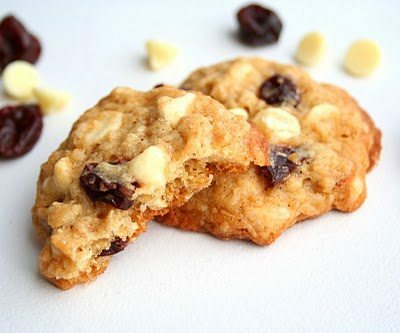 If you like the combination of white chocolate and dried fruit, this is the cookie for you! I chose to put it in an oatmeal cookie to give it more ooomph. I’ve always loved oatmeal and chocolate chips together and was curious about how it would fare with white chocolate. It’s a great combination, I can tell you! Apparently I am not the only one who thinks so! Turns out that my little combination of cherries, white chocolate and oatmeal is not so original after all. Just as I was writing this, I got a link from another blogger who came up with her own version of the same thing just the other day! 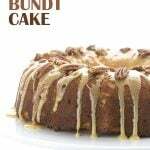 Check out the Baking Barrister’s version HERE. Preheat oven to 350F and line two large baking sheets with parchment paper. In a medium bowl, whisk together flour, baking powder, baking soda, salt and cinnamon. Set aside. In a large bowl, beat butter and sugars together until light and fluffy, about 3 minutes. Beat in eggs, one at a time until thoroughly combine, scraping down beaters and bowl as needed. Add flour mixture and beat until combined. 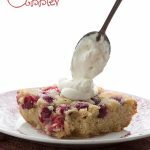 Mix in oats, cherries and white chocolate chips until just incorporated. Batter will be very stiff. Roll tablespoons of dough between palms and place on prepared baking sheets. Flatten somewhat with the palm of your hand. Bake until edges are beginning to brown and tops are soft and puffy, 15-20 minutes, switching and rotating pans halfway through baking. Let cool on baking sheets for 5-10 minutes, then transfer to a wire rack to cool completely. LOVE the combos!!! Be safe in the snow! These are my favorite cookies ever! Yours turned out so well! Great looking cookies! I love the white chocolate/cranberry combo, so yummy. 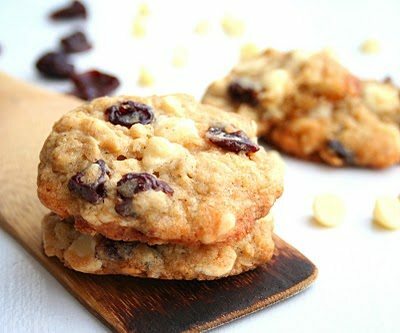 Lovely cookies 🙂 really great products used together, I have no doubt that they are delicious..
Cherries and white chocolate in a cookie – freakin' genius! I love it! Oh, I bet these are some warm gooey, chewy, chocolately, morsel delights! All my favorite ingredients in one cookie! Now why didn't I think of that???? These look fabulous! Yikes! 18 inches! Urg! These cookies look great! I've used Lindt's coconut white chocolate in cookies and it bakes up very nicely! This is a great combo!!! Oh yeah, these are keepers. White chocolate and cherry = genius. Super awesome – ready for some right now! 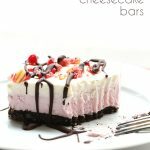 Love the combo of white choc and cherry!! I love white choc, don't know why I never use it! Thx for sharing!! I had a version of this years ago and I've never forgotten it. Cranberries are always a hit for me, I will have to stock up! I'm really like this flavor combo and who wouldn't want it in a delicious looking cookie?? Love it Carolyn! And those peanut butter balls look fabulous as well! Can't wait to debut these on the bake sale!! I think they're gonna be a huge hit!! I am wishing I had one right now!! Mouthwatering, delicious, amazing looking and tasty cookie! :) Lovely photos as always!!! They look beautiful!! And definitely tempting too… too bad I really can't break the low-carb right now, otherwise I would have totally tried them 🙁 I guess I'll stick to your peanut butter dough truffles for this week! Great Carolyn, you don't always have to post low carb recipes, of course!!!!! And I hear yah about the snow. We didn't get as much as you did, here in MI, but we're still blanketed with the white fluffy stuff everywhere. I'm definitely looking forward to Spring. Sigh. I'm glad you had a storm…I mean, not for the storm but because it brought us these cookies! 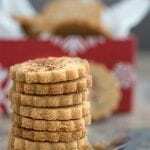 I love oatmeal cookies and your additions are just delicious! All you have to do is wave cookies and I will come running. Love all the goodies in here, hope the snow has let up over there. Keep warm over there! Mmmmmm those look so good! I just love white chocolate and cranberries together. I will be sure to check back about the online bake sale. It is such a great idea! Original or not, that combination sounds fantastic. I think I have all of the ingredients in my pantry, too. I can see some of these appearing in the cookie jar soon!! OH my! Those look incredible! cherry and chocolate chip !!! why didn't I think of that? I just posted chocolate chip cookies today but with almonds not cherry. Next time I'll give yours a try. Definitely blog worthy! I don't have any dietary needs I have to make substitutions for, but I can imagine it's tiring. It's good that you can throw "real" cookies in every now-and-again! You are so sweet to make these for your kids even though you can't eat them! I don't know that I would have had that much self control. I love the combination of dried cranberries and white chocolate…match made in heaven! Oatmeal cookies are always well appreciated in my home. I love the cherry white chocolate combo that you picked. Absolutely lovely! I for one also prefer the full-carb version. This looks fantastic, and white chocolate and cherries? Yeah, I'd vote for that in a heartbeat. 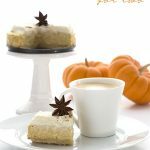 I've been seeing a lot of white chocolate in posts recently… and despite my issues with the stuff, I love it when paired with cherries or cranberries. And in these cookies???? I'm sure it's perfection. Just added these to my "to bake list". I don't know why I torture myself and visit your site on an empty stomach. Everything you make always looks mouth watering delicious! This cookies sound fantastic! 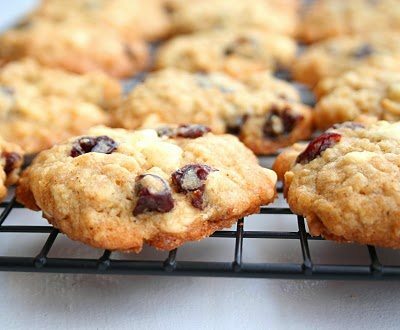 I love cherries and am certain I will love these cookies! Why are you posting recipes like this? You’re one of my ‘go to’ for lc. Bummed! Do you see how old this recipe is? Look at the date on it, please. I no longer ever post things like this.